No matter if you have prints in hand or you are in need of our in-house design teams expertise, Toolmasters is your turnkey solution. Rest assured that quality and timeliness are our specialties. 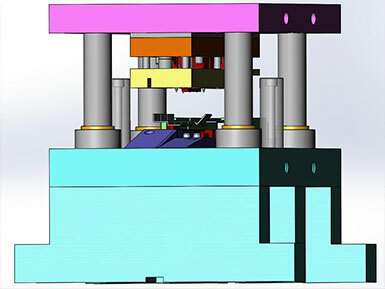 We often get contacted to reverse engineer parts for equipment when manufacturers will not provide a print of their machines components or if the machine is dated enough that prints do not exist. Our machinists love this challenge. Reverse engineering is their favorite part of the job. It is simple to make a part with a long lead time and a detailed print but reverse engineering tests their skills. When you do not have a print, Toolmasters Inc can help you determine the proper materials and critical design elements of the component based on the part’s mechanical function, current material &amp; hardness., Often we will be able to deduct, past maintenance issues, and expected life of the component which will reduce the chance for breakdown in the future. With our “Part to Print” Reverse Engineering service, our designers will create the print for you utilizing the latest in software technology. You will be provided a copy of the print at the completion of the project. America’s best manufacturers demand precision tool and die making services from their toolmakers. At Toolmasters, precision is our most important consideration. Our commitment to affordably priced, precision tool and die making assures your productivity, quality, and economy. We continually exceed our customer’s requirements by providing leading edge design and consistent top quality production completed with on-time delivery. From design to final inspection, you can count on Toolmasters to use the best in modern equipment. Our current range of equipment demonstrates our commitment to quality tool and die making as well as the wide variety of businesses we serve. Toolmasters is a full-service tool and die company that specializes in the design and manufacture of dies, fixtures, and precision tooling. When provided with a part print, a list of standards, and the annual parts per year, Toolmasters, Inc. has the capability to produce a die that will exceed your expectations. 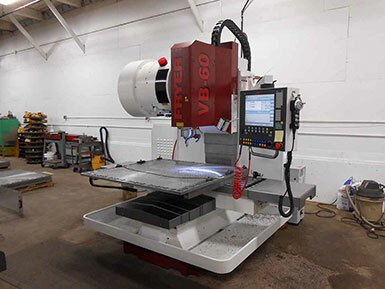 Toolmasters was one of the first shops in the Midwest to purchase and apply Wire EDM to die making. We purchased our first machine over 30 years ago, in 1978. Wire EDM is a major component in our die quality; Toolmasters applies Wire EDM to our dies wherever possible. Our Wire EDM services provide you with impressive benefits. No matter how simple or complex the tool or die, we use the latest high-tech equipment to produce your tooling. Our in-house CAD design, jig grinding, 3D machining, multi-hole drilling, and wire EDM services guarantee the precision you require. If anything, we probably build our dies to higher standards than our customers order, generating the maximum value for the dollar. 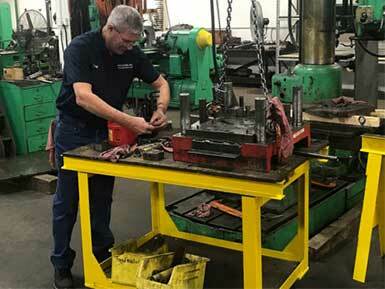 Whether you require progressive dies, compound dies, adjustable dies —form dies, brake dies, blanking dies, leading–trailing edge dies, pinch trim dies, or aluminum extrusion dies—Toolmasters works to exceed your expectations. Toolmasters Inc. is dedicated to providing quality tools and dies, deliver them on time, and conduct all business with integrity. We make these commitments to each of our customers. When you need a high quality, easy to maintain die, come to the tool and die shop where quality still counts; contact Toolmasters Inc.